Vice President Cheney: The Most Powerful Politician In American History? American politics are not just important, but are immensely intricate. Politicians from every corner of the nation work for decades attempting to serve their local communities, constituents, and country as a whole. Virtually every politician has an ultimate goal, and that is to be elected Senator, Governor, or President. When studying American politics, one name always comes to mind, Richard B. Cheney. Cheney was born in 1941 to a former softball player and a soil conservation specialist. 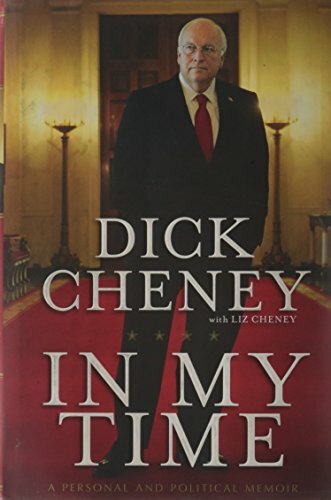 Initially Cheney lived in Lincoln, Nebraska and then later moved to Wyoming. Although he was uncertain of his future and career, Cheney got accepted to Yale University and eventually dropped out due to poor grades. While attending Yale, he worked as a power lineman for a local electric utility. Eventually, he decided to attend college once again. He enrolled at the University of Wyoming. There he received a B.A. in political science in 1965 and an M.A. in political science in 1966. Cheney quickly entered political oriented jobs and quickly rose to power by first becoming an aide to Wisconsin Governor, Warren Knowles. This eventually led to a job working for President Richard Nixon's administration in 1969. He then moved up the ranks and stayed in politics as he served as Gerald Ford's Chief of Staff from 1975 to 1977. When Gerald Ford lost to Jimmy Carter in the 1976 election, Cheney was forced to move back to Wyoming. This is when he began having medical issues which slowed down his political career. Fortunately, he had the determination and knowledge to become re-elected five times, ultimately becoming chairman of the House Republican Conference. Later, he became the House Minority Whip in 1988. In 1989, he was appointed Secretary of Defense by President George H.W. Bush. When Cheney was Secretary of Defense he encountered several complicated predicaments. On December 20, 1989 the U.S. invaded Panama. Chiefly, due to Manuel Noreiga supporting drug trafficking, threatening the lives of U.S. citizens living in Panama, and jeopardizing the integrity of the Torrijos-Carter Treaties. Cheney faced a gargantuan dilemma and ended up leading the U.S. to victory in a conflict that fortunately lasted only a little over a month. Once again, Cheney faced another major obstacle in 1990. The Persian Gulf War tested Cheney’s patience and stamina when Saddam Hussein decided to invade Kuwait. Due to his effectiveness and drive, he led the U.S. and its allies to victory. The coalition lost around 300 servicemen while the Iraqis lost an estimated 20,000 troops. Cheney used the military’s advanced capabilities to force the Iraqi military into submission. Moreover, he coordinated the logistics of a behemoth alliance consisting of around 40 nations. In the end, the war cost the U.S. Department of Defense an estimated $61 billion. Kuwait, Saudi Arabia and other Gulf States covered $36 billion, while the Germans and Japanese took care of around $16 billion. The war was typically seen as a major success and created long-term security for Kuwait and other U.S. Arab allies in the region. In 1992, he worked with the American Enterprise Institute, a conservative think tank. Cheney did flirt with the idea of running for president, but decided to enter the corporate world instead. In 1995, he moved to Dallas, Texas and was interested in working in the energy sector. Cheney then became the CEO of Halliburton, a multinational energy firm. In 2000, Texas Governor George W. Bush asked Cheney to join forces and help look for a potential running mate for the 2000 presidential election. Bush eventually asked Cheney himself to serve as his vice president. Immediately, Cheney resigned as CEO of Halliburton and focused on the campaign. After a long and contested process, Bush and Cheney won the election, becoming the 46th Vice President and 43rd President of the United States. The Vice President later outlined his policies several times, he primarily mentioned strengthening NATO and expanding U.S. military cooperation with Eastern Europe. In theory, this would force Russia to rethink their policies as they would be forced to view the U.S. as the only sole superpower in the world. In addition, the Vice President consistently focused on permanently stopping nuclear proliferation and implemented whichever strategies that were necessary to ensure global security. After September 11th 2001, many Bush administration policies rapidly changed in order to counter the threat of International terrorism. Some of these strategies included controversial policies at Guantanamo Bay, the War on Terror/Afghanistan, and the expansion of power in the executive branch and of the vice presidency itself. Vice President Cheney was later criticized repeatedly in the media and by Democrats because of the 2003 Iraq War, NSA Wiretapping, and the CIA leak scandal. When one looks at Vice President Cheney's career, it should be seen as policies reminiscent of President Reagan's. Vice President Cheney used the Bush Doctrine as a means of continuing the containment strategy of the Russian Federation. At the same time, Vice President Cheney dealt with a side-effect from allowing U.S. military bases to be permanently deployed in the Middle East after the Persian Gulf War. Many would argue that the U.S. has the right to ensure a stable U.S.-Saudi relationship and guarantee long-term security to the region. Critics of these policies will claim that the U.S. presence planted the seeds for terrorism against the U.S. (mainly because of Osama bin Laden wanting U.S. forces out of Saudi Arabia). Clearly, the Iraq War was a byproduct of the Bush Doctrine's policies, which attempted to end the proliferation of WMDs, keep an American presence in the region, and attempted to keep the Petrodollar System fully intact. One question that must be asked is; if Saddam Hussein was still in power today, would he have the capability to fight ISIS? According to many experts, probably not. Although, Hussein did possess powerful weaponry, he failed to have adequately trained military personnel with the capabilities to mobilize these weapons in an effective way. Hussein did not have the overall capacity to coordinate major military operations either. During the Persian Gulf War, Hussein fired several dozen Scud missiles with little accuracy. Some of the missiles did strike Israel and Saudi Arabia, but overall the strategy was a complete failure. Moreover, Hussein's forces were never properly trained to fight in urban environments and especially in counter-insurgency situations. Many military experts and policy makers will argue that the 2003 Iraq war was inevitable. Furthermore, it was a strategy to prevent the proliferation of WMDs, which ultimately could have ending up in the hands of Al-Qaeda. Whether it be done with the help of Hussein, or completely independently, both scenarios would create a situation which would legitimize an invasion of the country. Chances are Vice President Cheney will be treated well in the history books. The policies of the Bush Administration clearly were designed to continue those of Pres. Reagan's. Vice President Cheney laid out several strategies which would strengthen U.S. allies, expand democratic ideas, prevent international terrorism, and stop the proliferation of WMDs. If an administration decided to abandon these policies, wouldn't that give China, North Korea, Iran, and Russia an incentive to expand their influence, not just socially, but militarily? Who would be there to stop them, the U.N.? Furthermore, how has China, Iran, North Korea, and Russia's track record been on human rights violations? Critics of Vice President Cheney's policies clearly would want to see a smaller U.S. military with a minimal international role. These policies would simply give other nations behemoth amounts of power, both economically and militarily. It is clear that Vice President Cheney came a long way from being an electric utility worker in Wyoming. With diligence, passion, and excessive knowledge he become one of the most powerful politicians in American history. It will indeed be interesting to see how history books tell stories of the last few administrations as opposed to mainstream media's versions of them. I meant to add - good piece, a lot of information I was not familiar with, thanks! Thank you for the positive feedback! I am eager to also see how future history books portray VP Cheney.